In this week’s fact-checking video, CNN’s Jake Tapper examines efforts by Republican Sens. 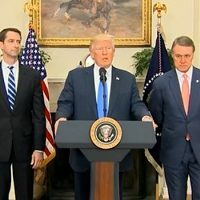 Tom Cotton and David Perdue to discredit Democratic Sen. Richard Durbin’s account of President Trump using profanity to disparage African countries at an immigration meeting in the Oval Office. 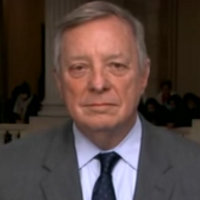 Two Republican senators suggest Democratic Sen. Richard Durbin’s account of President Trump using profanity to disparage African countries should not be believed because Durbin has a “history” of misrepresenting what was said at White House meetings. But they are not telling the whole story. An estimated 13 million fewer Americans would have health insurance by 2025 if the health care law’s individual mandate is repealed. 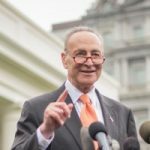 But that doesn’t mean that all 13 million would be kicked off their insurance plans, as some Democrats claim. Sen. Richard Durbin says that “Social Security does not add one penny to our debt.” That’s false. It was wrong 21 months ago, when Durbin said it once before, and it’s even more off the mark now. The federal government for the first time in its history had to borrow money in 2010 to cover Social Security benefits to retired and disabled workers — a trend that worsened in 2011 and will not change at any point in the future unless changes are made. This weekend, the Sunday talkfests were dominated by predictions of how the makeup of the Senate and House might change after Tuesday’s elections. Halloween or not, clairvoyance isn’t a skill set we’ve mastered. We’re happy to wait for the actual results.